It is always fun to see these green glowing worms, they look like a can of moving green slob in shops like some Halloween toy. They are sold in a few shops and are used for fishing. These worms don’t occur naturally and are produced by feeding them a special dye. 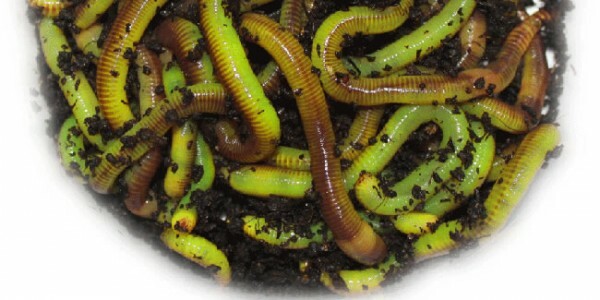 The worms themselves are actually normal Earthworms. Branded as ‘Nitroworms’, their production is originated from Canada and created by Paul Giannaris. They use Canadian Nightcrawlers (Lumbricus terrestris) for staining, however other companies may also use European nightcrawlers (Eisenia hortenis). The great thing about the glowing worms is that they glowed brightly in the deeper dark waters attracting large fish. The internal dye used is non-toxic and even better the flavor of the worms attracted more fish. Nitroworms proved to be quite a success for catching large fish such as the Catfish, Trout and Bass. 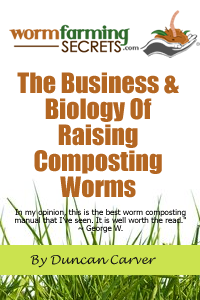 As such, the demand for these worms grew, and many other companies started to try their own way of making ‘Nitroworms’ using different dyes and even creating fake plastic glowing worms! However regular food dyes are petroleum based which blocks the pores of worms which effectively suffocates and kills them, and this flavor change also affected their effectiveness as bait. 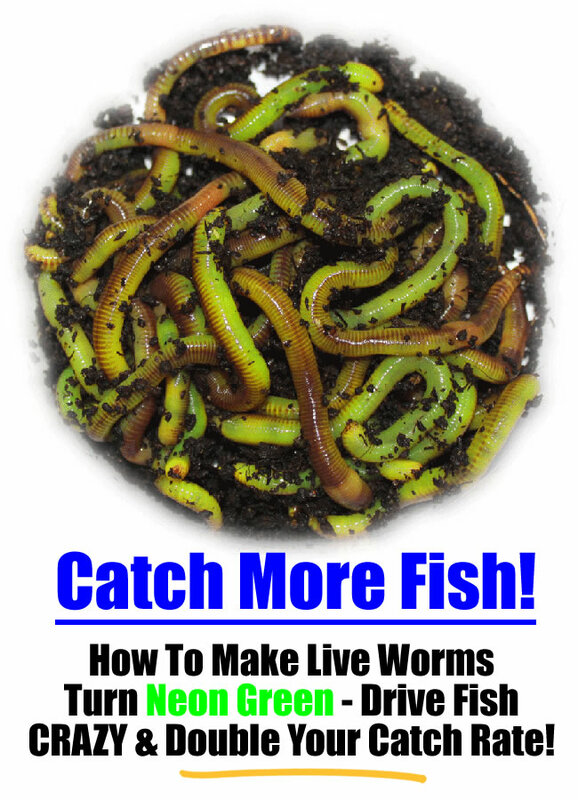 I personally do not know how the worms are dyed since it is a trade secret among the fishing supply companies. However, one can assume that the worms are dyed in two ways. The first way is to cover the worms with dye and color them externally. The dye molecule will sink into the surface pores of the worms, giving them a dyed color. The other way (which is probably the more common way) is for them to ingest the dye by mixing the dye with their bedding and food. 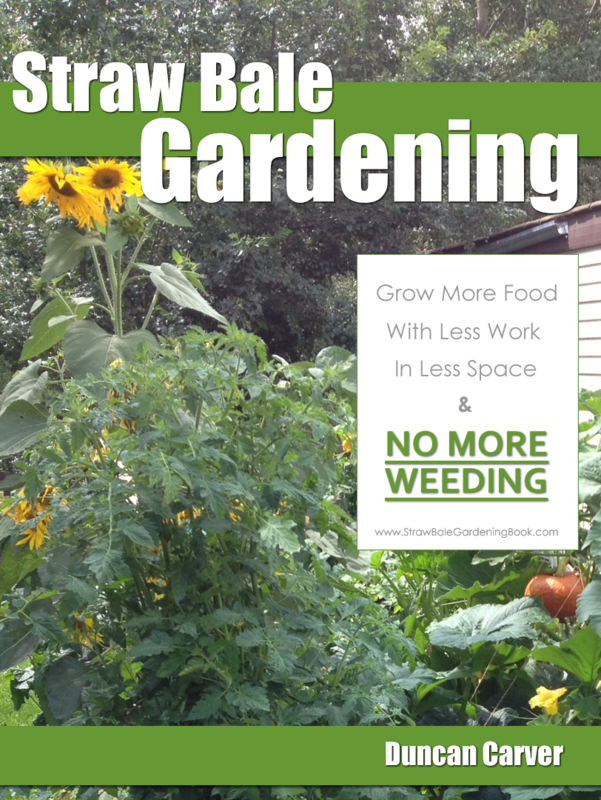 The worms will eat through the bedding and food, taking in the dye material as well. As the dye material is consumed, it is absorbed by the blood which runs through the whole body, and is finally discharged through the pores on the external layer of the skin. As the dye passes through the surrounding cells of the worms body, the cells absorbs the dye turning themselves the green color. Since worms urinate through pores all over their body, and their body wall is translucent, the dye will color the worms from the inside out, creating an evenly distributed dyed worm. The dye used will need to be something safe for the worm, the fish and you! You may need to look into and experiment with different biological stains which are used in biology experiments for staining cells. You might also want to search for an organic food dye, and find an organic (non-petroleum) based food coloring & give it a try. I wouldn’t see any problems with that. Do note on how the original creator took 4 years to perfect his nitro worm though!